This was the result of a two week long workshop with Alejandro Tamayo. The idea was to see a cube as in interface to connect the large with the small, micro with macro and the gaint universe with the small earthly object. 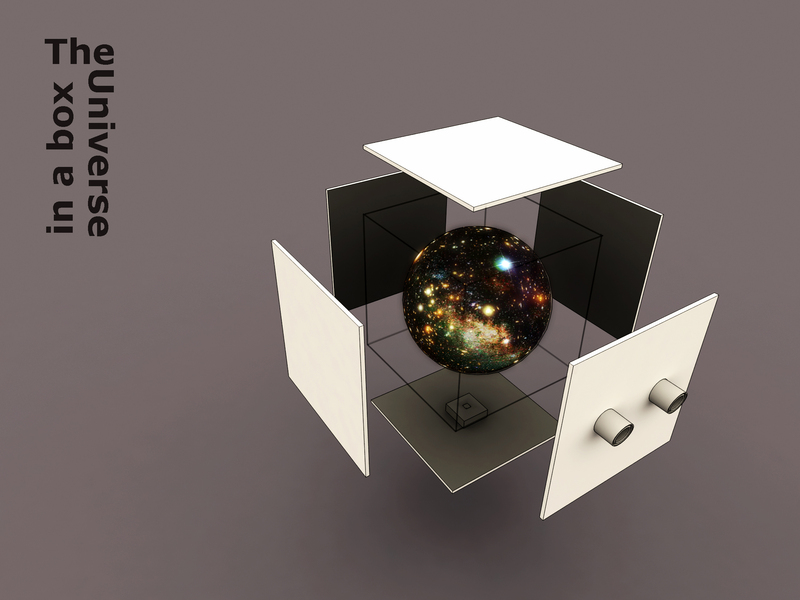 Imagen you have a box and init dewells the universe. The universe init can been seen an interacted with all the way from cosmic scale to small grapable object scale. I order to demonstrate how it could be experienced. there is a video below. MVI 7011 from Arfurqan on Vimeo.